Our office is located in the heart of Osaka city. ★1 minute walk from No.18 Exit or 2 minute walk from No.8 Exit at “Honmachi” Station, if you take Midosuji subway Line. ★2 minute walk from No.19 Exit at “Honmachi” Station, if you take Yotsubashi subway Line. ★1 minute walk from No.18 Exit at ”Honmachi” Station, if you take Chuo subway Line. 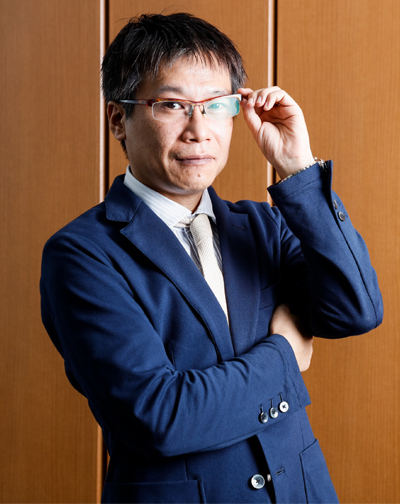 He mainly handles patent prosecutions for Japanese domestic and foreign applications relating chemistry, optics and mechanics. 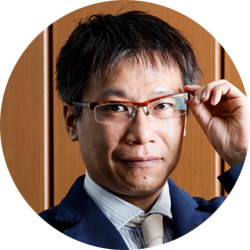 He is also responsible for expert opinion, opposition and invalidation trail for Japanese and foreign patent cases. Shintaku, M. et. al., 2005. Absence of a Detectable Intermediate in the Compound I Formation of Horseradish Peroxidase at Ambient Temperature. J. Biol. Chem., 280, 40934–40938. © IZANAGI IP LAW FIRM.